Another beautiful week to get out and enjoy the weather. We love going to the greenbelt even when we only have a short amount of time to get outside and do a family activity. There are so many access points that make it super easy to get to. The greenery and the river make it very peaceful and relaxing. The greenbelt runs from Eagle to Lucky Peak reservoir. 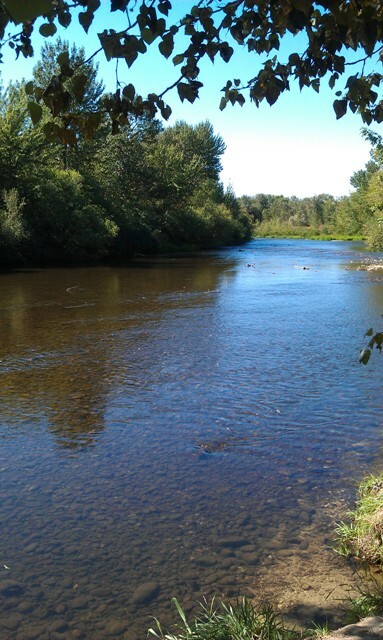 It’s great to visit for a walk or a bike ride and to find some really great fishing holes. There are park benches along the way as well as grassy areas and parks. We have favorite entry points near Glenwood and State, in Eagle and we also love the greenbelt near the parks downtown. There are a couple of dirt path – walking only sections, that are nice too if you want to avoid bikes and people on roller blades. Grab an hour or two in between all your other activities and enjoy this gorgeous fall weather. I know I will!